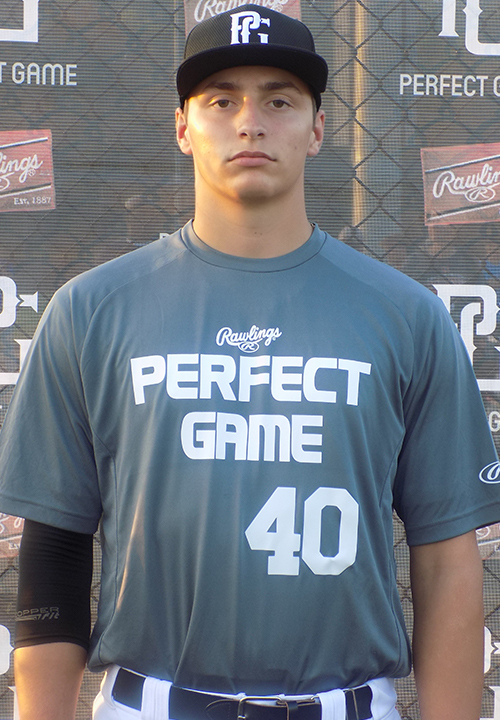 Jack Tomich is a 2019 3B/RHP, MIF with a 6-1 195 lb. frame from Lithia, FL who attends Newsome. Large frame with present strength in build and very broad shoulders. Ran a 7.01 second 60-yard dash. Worked out defensively as a primary third baseman. Clean footwork to the ball. Arm works well with an easy release. Strong arm topping out at 87 miles per hour. Righthanded hitter with a wide base and high hand set. Plenty of present bat speed. Impacts the ball with feel for the barrel. Pull side power approach with present strength in swing. Righthanded pitcher throwing from an extended three-quarters arm slot. Arm works well through a medium arm circle in back. Works quickly throwing a lot of strikes with the fastball topping out at 83 miles per hour. Excellent student as well. Named to the 2018 National Academic Showcase Top Prospect List.